From the Revolution through the Civil Rights Movement, Americans mobilized against political, social, and economic privilege. But over the last half-century that political will has vanished. In The Age of Acquiescence, Steve Fraser explains why. His account of national transformation brilliantly examines the rise of American capitalism, the visionary attempts to protect the democratic commonwealth, and the great surrender to today's delusional fables of freedom and the politics of fear. 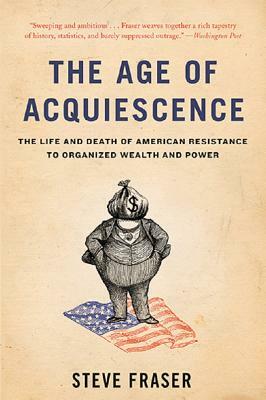 Effervescent and razorsharp, The Age of Acquiescence is indispensable for understanding why we no longer fight for a more just society, and how we can revive the great American tradition of resistance in our own time. Steve Fraser is the author of Every Man a Speculator and Wall Street, among other books, and has written for the Los Angeles Times, the New York Times, and The Nation. He lives in New York City. which Americans of earlier generations attacked aggregated power."